By Melissa Lennig on April 4, 2017 5 Comments. This content contains affiliate links. As an Amazon Associate I earn from qualifying purchases. Daffodils are blooming, the grass is green, and children in our town are happily trading homework, backpacks, and reading logs for spring break! Whether your family is traveling or enjoying a relaxing vacation at home for spring break, you are bound to hear 2 dreaded words: I’m bored. 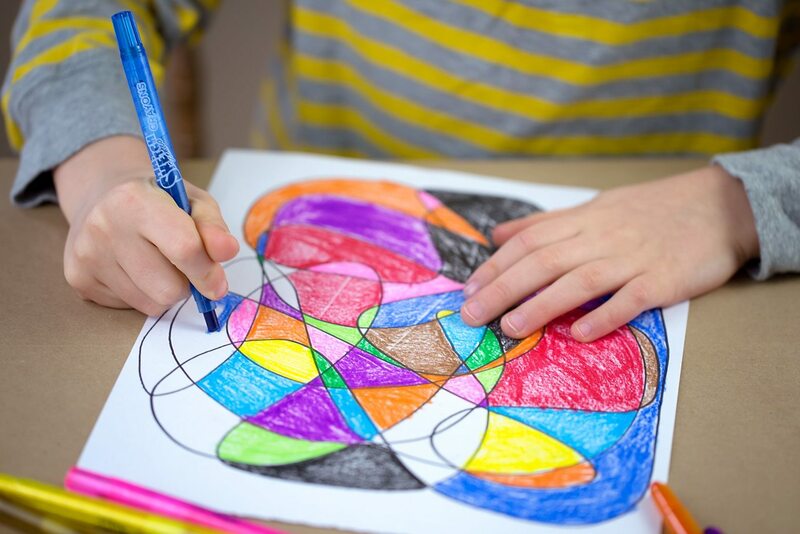 In anticipation of this, I recently showed my 8-year-old son my favorite childhood boredom buster, Scribble Art. My childhood sketchbooks were full of Scribble Art! It was my go-to kind of drawing for relaxation, keeping myself busy on road trips, and being creative. 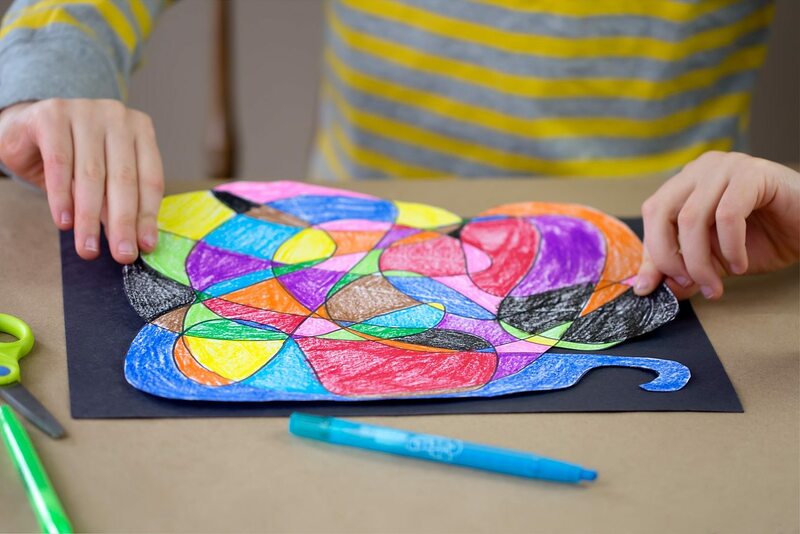 Invite your child to use the black marker to create a swirly scribble on the paper. 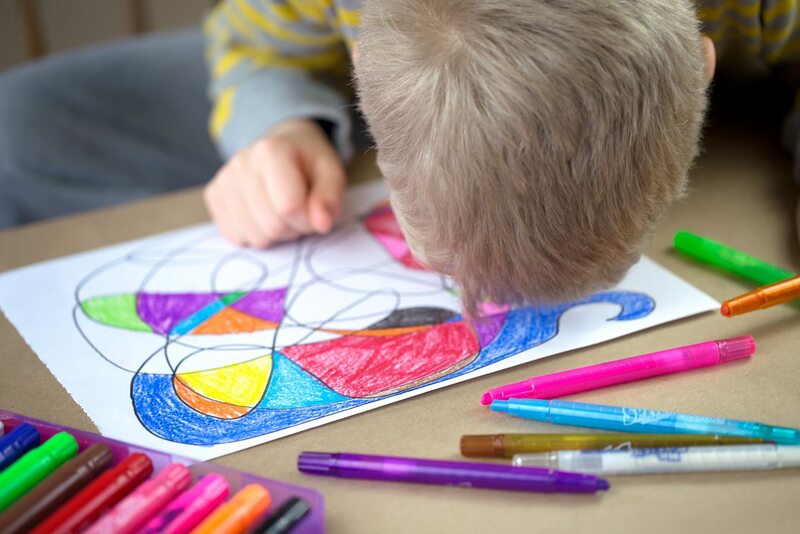 Next, invite them to color in every shape with their crayons. My kids are always intrigued by new art supplies. And hiding them away for “rainy days” is one of my best boredom-busting tricks! Have you tried the new Mr. Sketch Scented Twistable Crayons™? 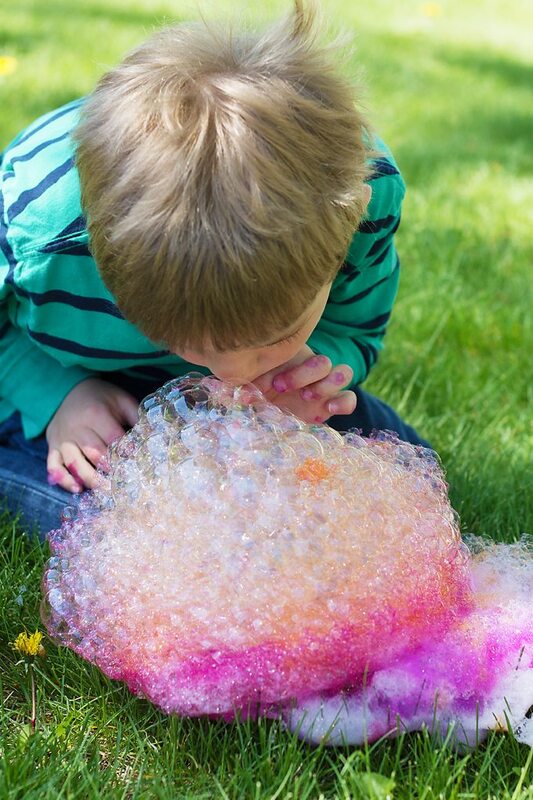 Vibrant colors combined with our favorite childhood Mr. Sketch™ scents create a fun sensory experience that feeds the imagination! My boys LOVED them. 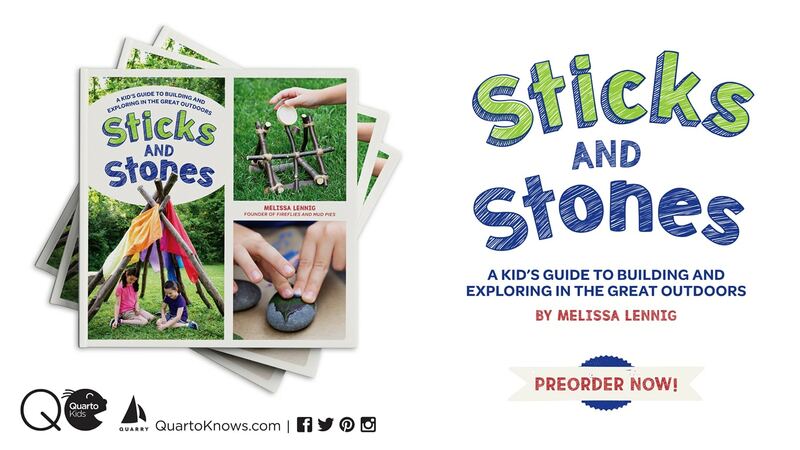 But watch out for that sneaky light blue crayon…it may be Stinky Cheese-scented! 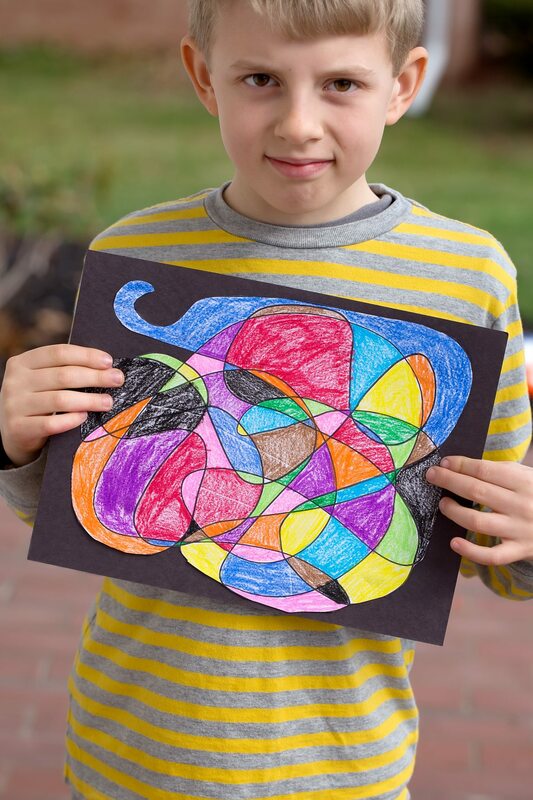 My son couldn’t help but sniff his artwork! His favorite scent is Orange, same as me. 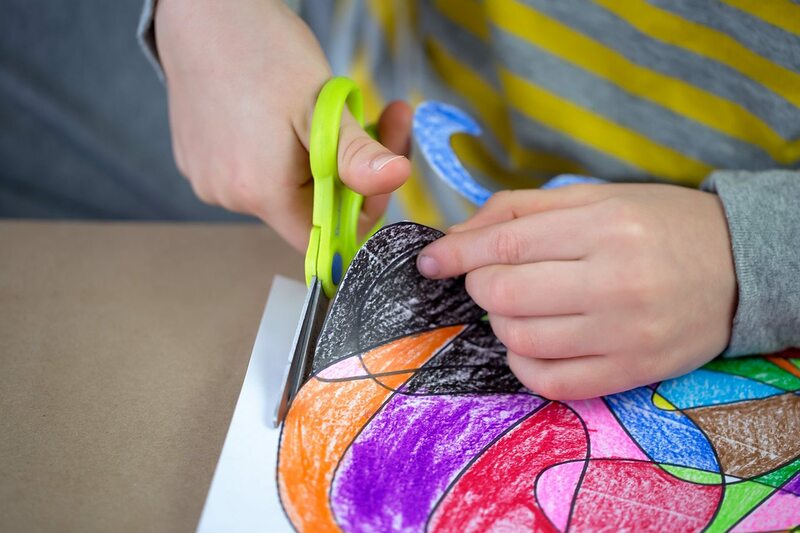 When the coloring is finished, invite your child to cut out their scribble with scissors. 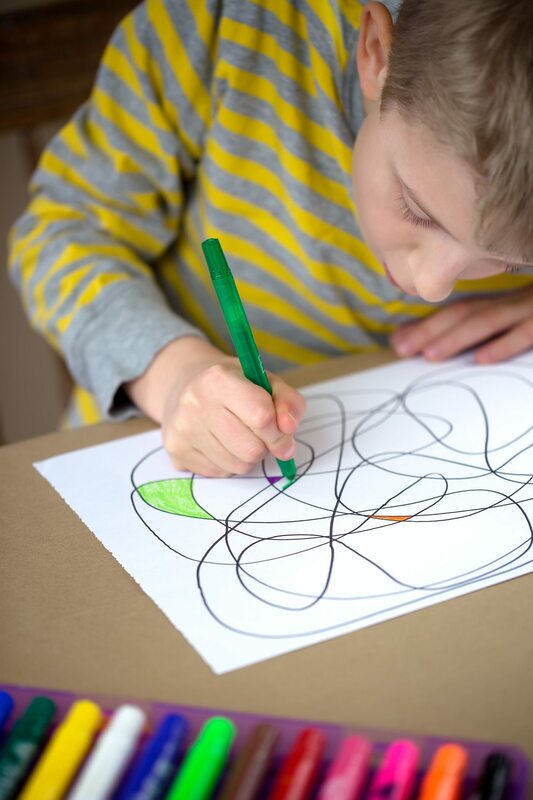 Last, invite your child to glue their Scribble Art onto a piece of black construction paper and sign their name with the delicious White Vanilla Icing scented white crayon. Isn’t Scribble Art beautiful? The doors of our refrigerator are now covered in it! 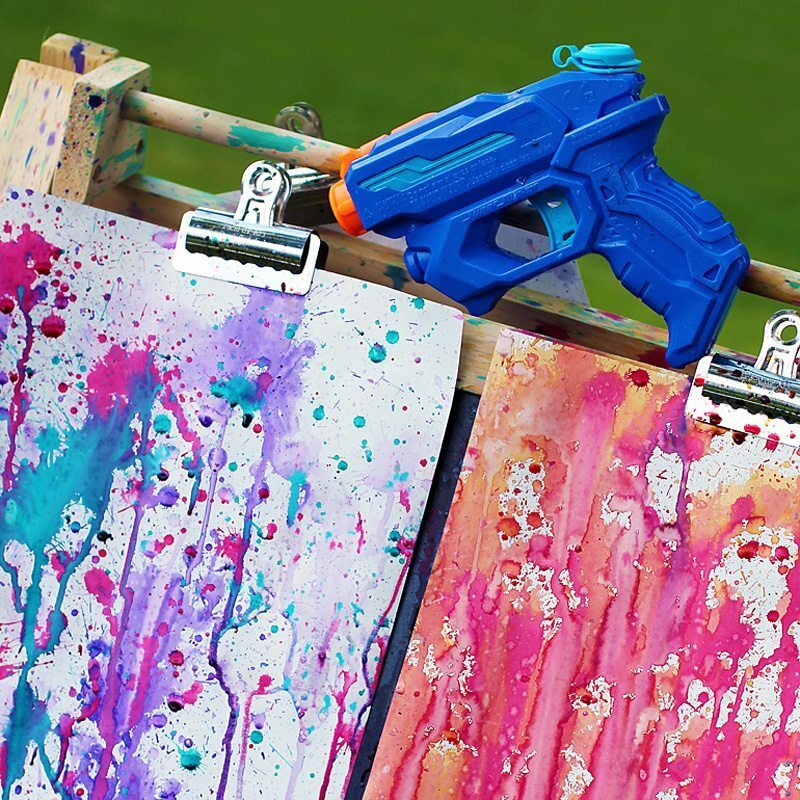 Click the images below to see more creative and fun art activities for kids. I have always loved scribble art too. As a matter of fact, I just showed it to my preschool class a couple of weeks ago. I made the scribble design and let them color it in. I love looking for “hidden” pictures within the art. 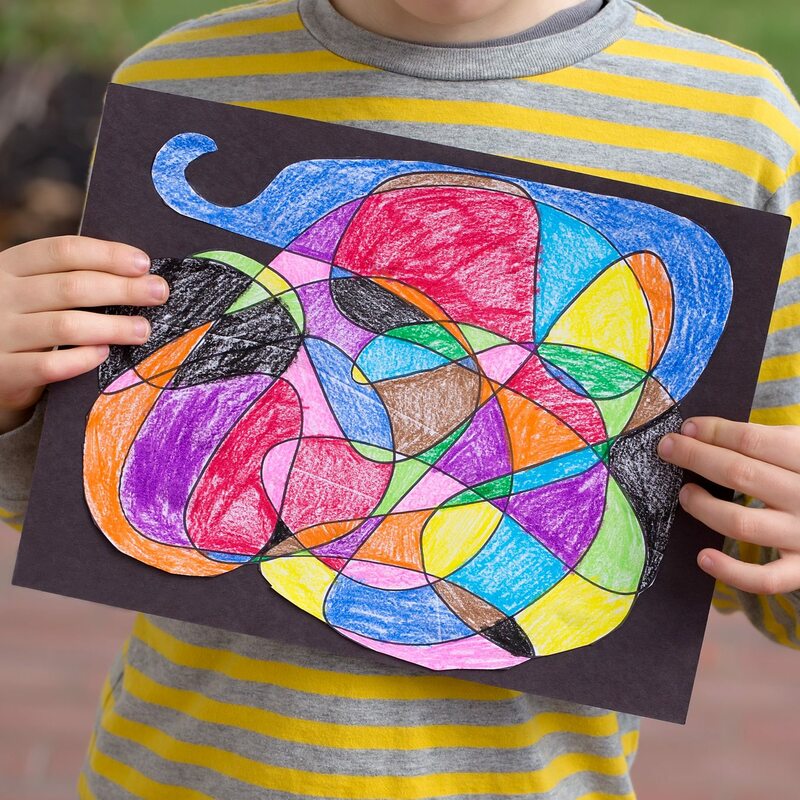 For instance, I see a blue elephant hiding in the back of your scribble art. Continue having fun.